Use the Dashboard to quickly pull up readership for a body of work or for individual articles. 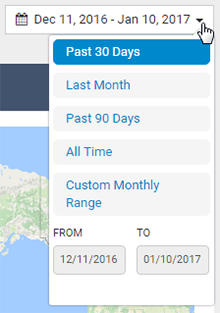 Explore recent data, all-time, or a custom date range. You also have options to share your data with others and export statistics for use in external applications. 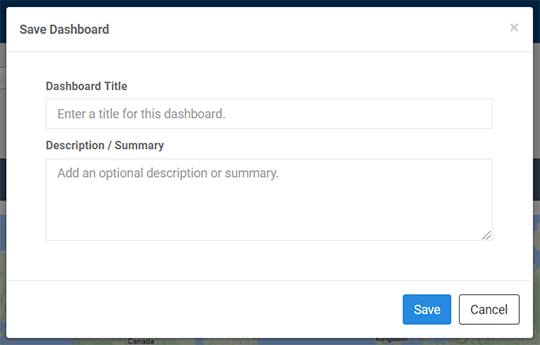 From Digital Commons, click Author Dashboard in the Dashboard Tools section of your My Account page. Usage Reports: View reports for downloads, metadata page hits, works posted, or individual works within time frame selected. 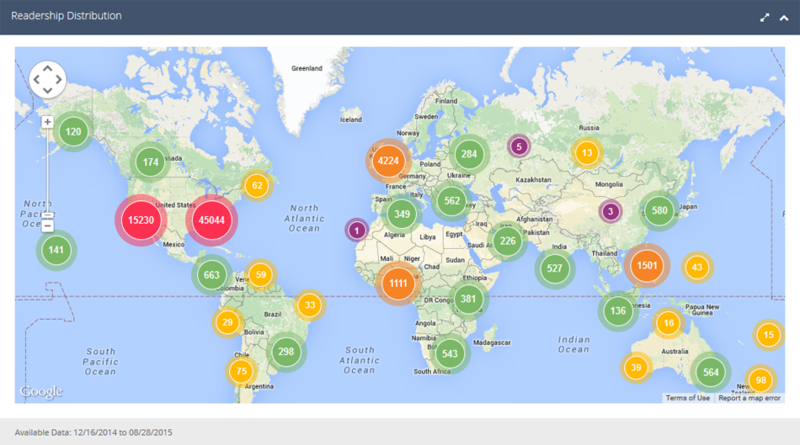 Share the Dashboard: Access saved dashboards and share links to quickly demonstrate impact to others with no login required, and track the number of views. The main menu provides options to navigate to your SelectedWorks profile page (if applicable), to view account settings, or to log out if on a shared computer. You can select a specific date range for the dashboard using the date picker. Readership widgets and reports adjust to reflect the dates shown. Past 90 Days: The maximum amount of time for which daily results are available. All Time: Monthly data going back as far as readership data exists for your works. View statistics for particular works using the “Showing” drop-down list. Click and browse, or type in the search box to narrow results. This filter will adjust information in the widgets to only show data for that work. As you scroll down to browse the readership widgets on the dashboard, the works filter and time frame toggle stay at the top of the screen for easy filtering. 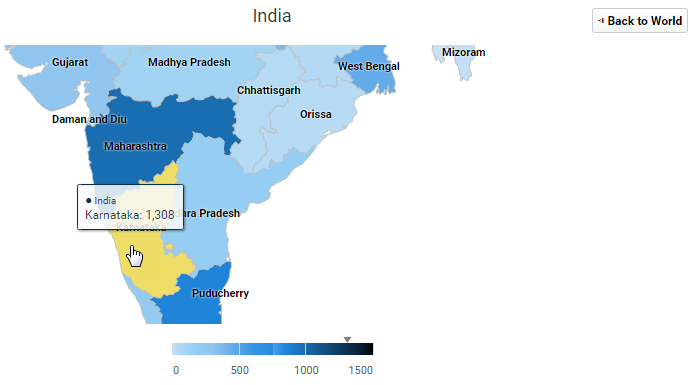 The dashboard map displays download counts by location for the date range selected. If the dashboard is filtered for an individual work, the map will update to show download data for that title. Click the download clusters to zoom in to a more granular view and to see details of downloaded works. The Works table at the bottom of the dashboard shows a list of all published works, similar to the individual works drop-down list at the top of the page. Clicking the title of a work focuses the dashboard widgets to show readership data for that submission only.